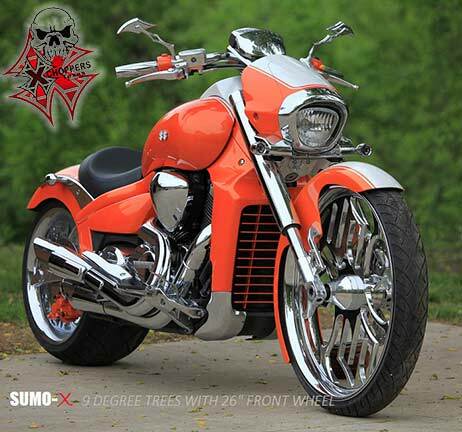 Sumo-X +9 Degree Raked Triple Trees - M109R (26" wheel reqd.) These +9 over trees are to be used with 26" wheels (ONLY). 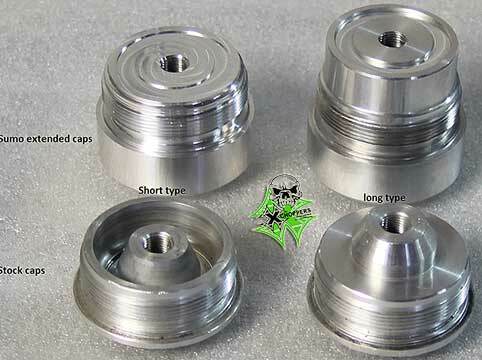 Sumo-X and RC Components are available from Xchoppers. Please refer to appropriate section for information. 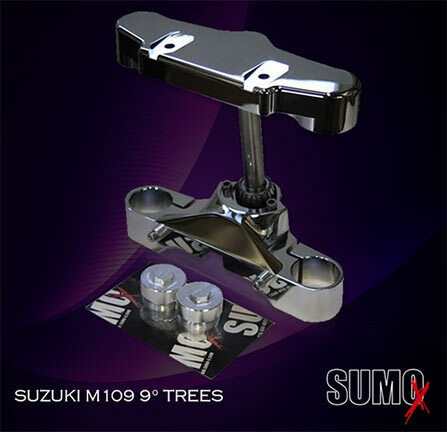 +9 degree triple trees are made to work with stock headlight and headlight housing ONLY. NOTE: Triple trees shipped with both length fork extensions as shown.